Roads across the district were badly flooded this week after hours of torrential rain. 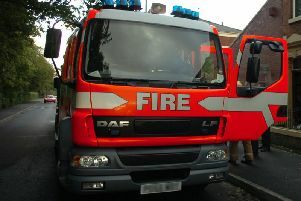 Commuters were faced with several diversions after parts of the roads in Lancaster and Morecambe were blocked off. Bridge Road in Lancaster, Halton Road, Bowerham Road, Barton Road and Torrisholme Road near to the railway bridge were among the roads affected. The floods caused severe delays towards Skerton Bridge in and out of Morecambe earlier this week. Most of the roads are now back to normal and Lancaster City Council has leaflets detailing advice on flooding which is available from town halls in Lancaster and Morecambe. Flash floods, which are much more difficult to predict, can occur without warning. These occur where drains cannot cope with the amount of water produced by intense storms. Thank you to Gavin John Greenwood and Laura Rigby-Boyd for sending in pictures of flooding near to them.